"I think if someone wants to open a business and only hire people of one race...I think they should have that right." Andrew Lawton thinks it’s time we legalized discrimination. The former Rebel Media contributor – handpicked by Ontario PC leader Doug Ford to run as a candidate in London – made the comments on the show he hosted for the far-right network between 2015 and 2017. Lawton’s candidacy has already been controversial thanks to a long list of past statements, including homophobic and racist remarks, that have come to light during the campaign. He has attributed his conduct to mental health issues he suffered between 2005 and 2013. In this more recent segment – dated March 24, 2016 – Lawton attacks Human Rights codes and argues that businesses should be free to discriminate on the basis of both gender and race. Human rights laws seem to have been a favourite target of Lawton’s at the time. The main purpose of human rights laws like Ontario’s Human Rights Code is, indeed, to prevent discrimination. Put another way, the purpose and scope of human rights laws is to guarantee and safeguard people’s freedom rather than constrain or limit it, as Lawton would argue. Consider, for example, a hypothetical scenario in which a restaurant owner refuses services to several patrons on the grounds that they are black. For many Canadians, the choice in such a scenario would probably be quite clear: the patrons’ right to eat at a restaurant free from racial discrimination should take precedence over the racist owner’s right to discriminate. 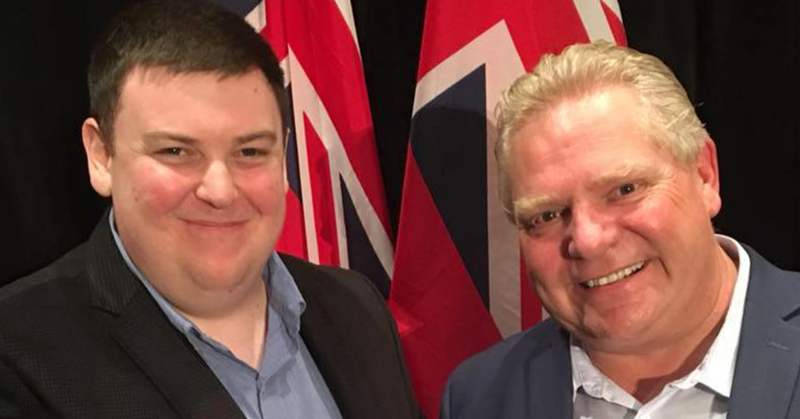 An Ontario PC Party candidate has been linked to a man smack in the middle of a growing data-theft controversy. 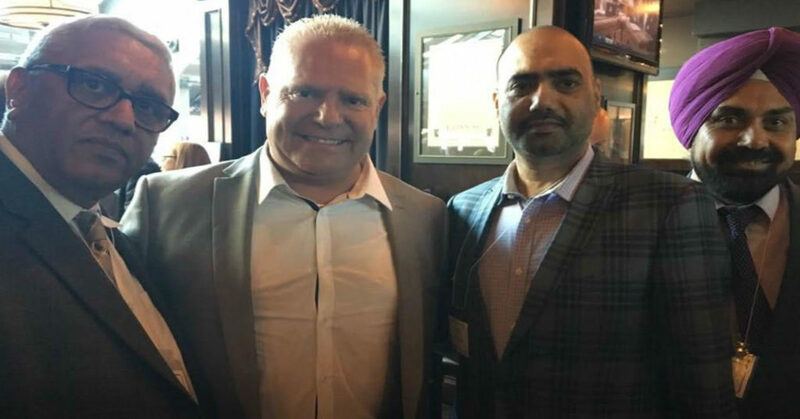 Harjit Jaswal, who is running for the PCs in Brampton Centre, appears in several photos obtained by PressProgress alongside Snover Dhillon, as does Ontario PC leader Doug Ford, and party president Jag Badwal.